We design websites that are modern, professional, and effective. 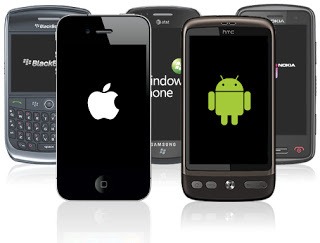 All of our sites are mobile responsive and adhere to all the latest practices in web development. We are a leading full-service website design firm, specializing in custom web design, social media, and search engine marketing. Our objective is to provide businesses with exceptional, personal service. Whether you know exactly what you want your site to look like or need some guidance and suggestions, we'll help you every step of the way. We can also work with your existing website, making either minor tweaks or major enhancements. The end result will be a modern, professional, and effective site - one which adheres to all the latest best practices. Our Sites Are Mobile Responsive! Mobile web browsing has become the norm, and all of our new websites are built to be responsive (or adaptive). This means that the site is made to automatically re-size to accommodate the size of the monitor, tablet or phone on which it is being viewed. Our office is based in Coral Springs, Florida, and is comprised of a talented team specializing in web design and marketing. We'll create or transform your site to reflect your company's specific needs and style. Contact Us for a Free Quote!